Andy Murray aims to kick-start his stalled career in Brisbane this week after an injury-plagued 2018, with Spanish great Rafael Nadal also playing as he tests his troubled knee ahead of the Australian Open. The season-opening tournament boasts a stellar field with Kei Nishikori and Grigor Dimitrov also in contention as they prepare for the first Grand Slam of the year at Melbourne Park. It also marks the return of temperamental Nick Kyrgios, the defending champion who has been talking to psychologists and “trying to get on top” of his mental health after another roller-coaster year. His preparations took a blow when he was bitten by a spider over Christmas, which needed medical attention, but he is expected to be ready. The women’s field includes seven of the world’s top 10 — defending champion Elina Svitolina, US Open winner Naomi Osaka, Sloane Stephens, Petra Kvitova, Karolina Pliskova, Kiki Bertens, and Daria Kasatkina. Three-time Grand Slam winner Murray only played six tournaments last season and arrived in Australia early to acclimatize and prepare as he continues his recovery from hip surgery. The Scot, who won the Brisbane title in 2012 and 2013, said he had been training hard to work himself back to the sort of fitness levels that saw him capture nine titles in a stellar 2016 campaign and reach the number one ranking. The 31-year-old had intended to play Brisbane at the beginning of 2018 but was forced to withdraw on the eve of the tournament and pull out of the Australian Open with the hip problem. He said he still had some pain, but “I’m in a better place than I was a few months ago”. The former world number one spent the off-season training in the heat of Miami to prepare for what can be gruelling conditions in Brisbane and then Melbourne. He hasn’t played since pulling out of the China Open in September, with his ranking plunging to 256. World number two Nadal also battled injury worries throughout 2018 but enjoyed success as well. He won a record-extending 11th French Open in June and reached the semi-finals both at Wimbledon and the US Open. But in November he announced he needed an operation on his right ankle and only resumed training two weeks ago. 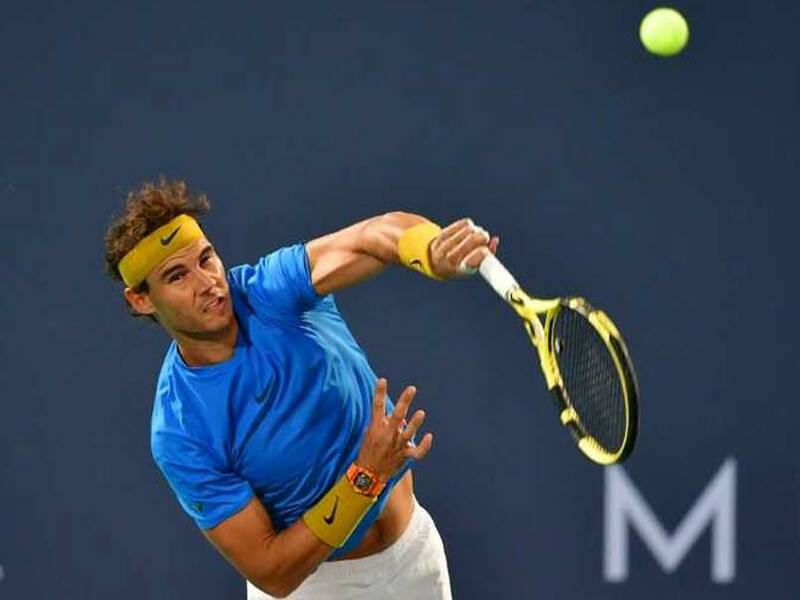 He made his comeback at the Mubadala World Tennis Championship in Abu Dhabi on Friday but withdrew from his third-place play-off match to ensure he didn’t push his body too far too soon. “Being honest, I’m satisfied the way I was playing tennis. I am more or less satisfied with how the body held,” he said. He told CNN last week that the decision to have surgery had been vindicated. “It was a little bit of risk that we don’t make it into the beginning of the season, but here we are, practising more or less hard and we are excited to start the new season,” he said. On the women’s side, Osaka has become hot property after a breakthrough 2018 in which she captured her maiden WTA title in Indian Wells then won the US Open at the expense of Serena Williams, who had a meltdown in the final. Now world number five, she said she was comfortable in the limelight.